A respected industry leader in compliant billing, coding and documentation for chiropractic practices, Target Coding offers educational and financially rewarding billing compliance, documentation and CPT coding products and services. For over 10 years, Target Coding has helped hundreds of chiropractors throughout the U.S. obtain fair and proper reimbursement. Many practitioners find the process of ensuring proper reimbursement to be daunting and frustrating. Target Coding helps you incorporate ethical and high-quality billing and coding policies and procedures in your practice or facility. They provide you and your CAs with the "tools and ammunition" you need to get paid properly. They can show you how to integrate the most advanced billing and coding strategies to help you better justify the clinical rationale for all of the services you provide, and to help you determine how much to bill for every procedure you render. Company President Dr. Marty Kotlar owned and operated a successful chiropractic practice for 12 years and a multi-specialty practice for 4 years. He began his consulting career with special emphasis on CPT coding, billing, reimbursement, documentation, and compliance for chiropractic and multi- specialty facilities. 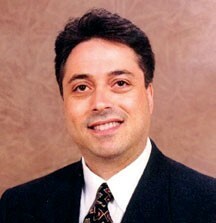 A renowned speaker, Dr. Kotlar is also a respected author of numerous books and articles in his field of expertise; he conducts educational seminars nationwide and ultimately motivates Target Coding to its standard of excellence in providing a wide variety of quality products and services to help practitioners obtain proper reimbursement.